Unlike Windows, iOS does not allow any applications to interfere its audio processing core to process and morph the in/out audio streams. That's why we see a lot of so-called voice changer apps on Apps Store, but basically they are just audio recorders and audio processors, offline, so far. In this tutorial, we will show you on how to change your voice right on your iPhone 6s by using a computer with AV Voice Changer Software 9.0 Diamond installed. 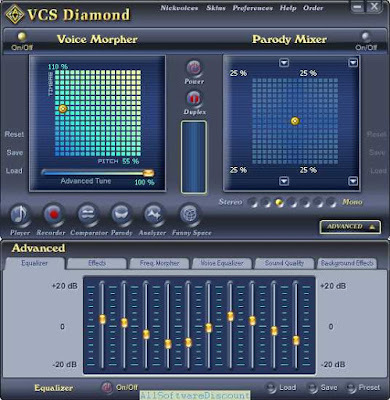 AV Voice Changer Software 9.0 Diamond is now known as the best version of voice changing software from Audio4fun that can give much more natural output than any earlier version ever. The newly built-in Voice-Over Editor could also be used in various purposes like morphing batch files, doing home voice-over recording, etc. 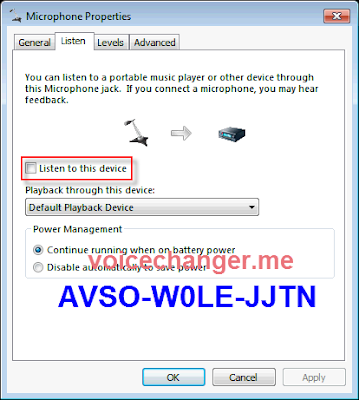 Voice Morpher feature of the program is the key feature to use for changing voice in real-time and over Curse's voice chat session. 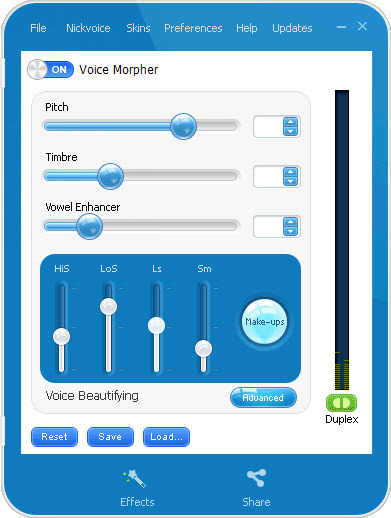 Voice Beautifying is the another newly added feature to enhance the natural of morphed voice. 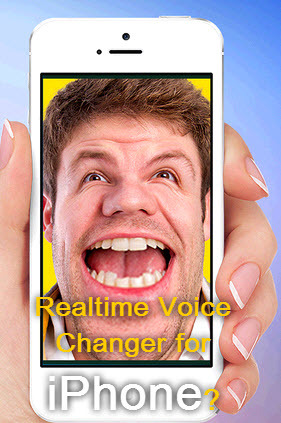 Voice will be morphed before it is sent back to iPhone and then come out to the receiver at other end of you calls. 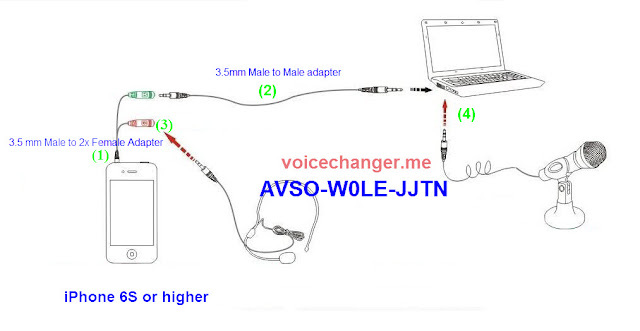 AV Voice Changer Software Basic/Gold/Diamond 9.0 or above. 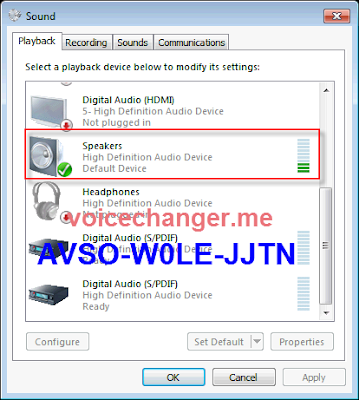 Free download trial version of Voice Changer 9.0 Diamond from here. Great offer from Audio4fun to save 30% when upgrading to PRO version . 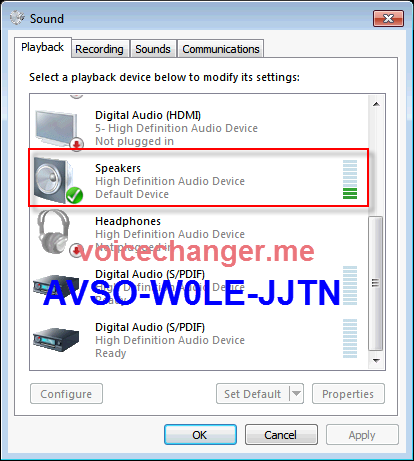 Via the Playback tab, find the device named as Speakers (High Definition Audio Device), right click on it and choose Set as Default Device. Move on with Recording tab; find the device named as Microphone (Avsoft Virtual Audio Device), right click on it and choose Set as Default Device. Select this device from the list again and click on Properties to open Properties windows. Disable Listen to this device option. If it is checked your original voice can be heard by the other end. You can now try making a prank call to your friend from your iPhone. And, just like working with VoIP apps, you just need to run the AV Voice Changer Software program on your PC before making call. 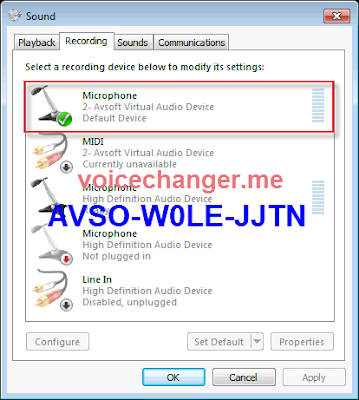 ** If you want AVnex Virtual Device become default driver for your microphone in all cases so that you do not have to do the above steps over and over again with each and every VOIP programs or instant messengers, you can try this tip. ** Disguising your voice can be an enjoyable entertainment or skill to develop, especially if you are interested in acting. Playing pranks on friends can be fun too, but be careful not to push it too far ^^. Buy Full version of the iPhone voice changing program (AV Voice Changer Software 9.0 Diamond) now!